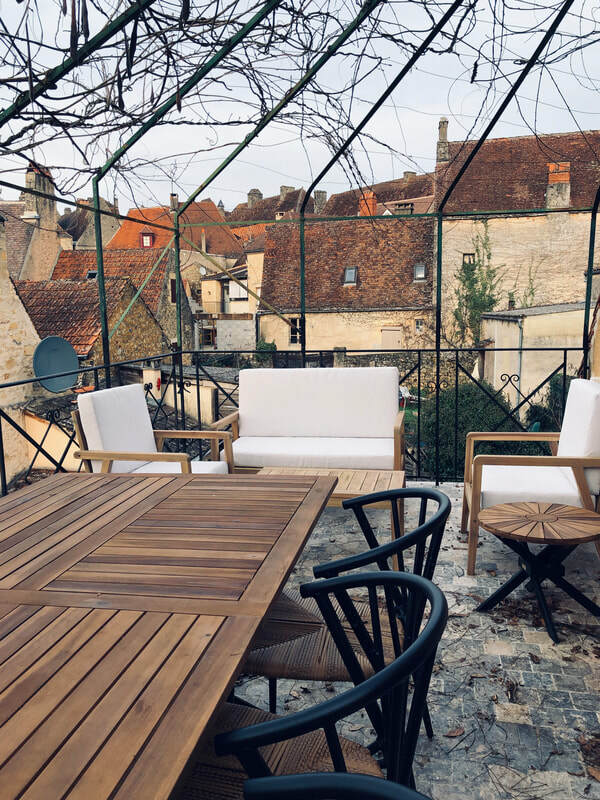 Located in the region of Sarlat-la-Canéda and comprised of selected properties in and around the famed Bastide town of Domme, our holiday lets offer unique Black Perigord experiences and a variety of custom-tailored options. 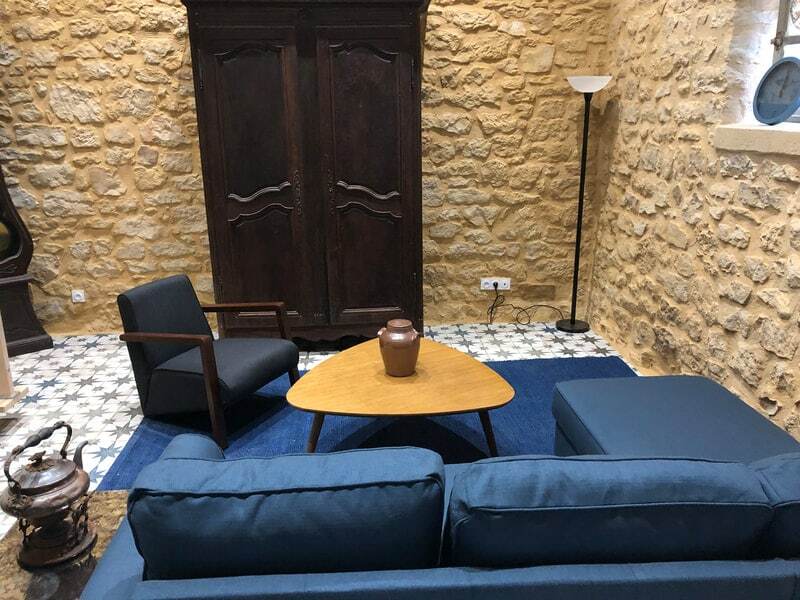 This includes luxury apartments in the walled city of Domme, a countryside studio, as well as superb dining, astro-tourism, the Cave Village Experience, cooking classes, & forest bathing.  Have your meals delivered or choose to dine at our Quatre Routes location in Cenac-et-St.-Julien or at our Rue la Boétie location in Domme. 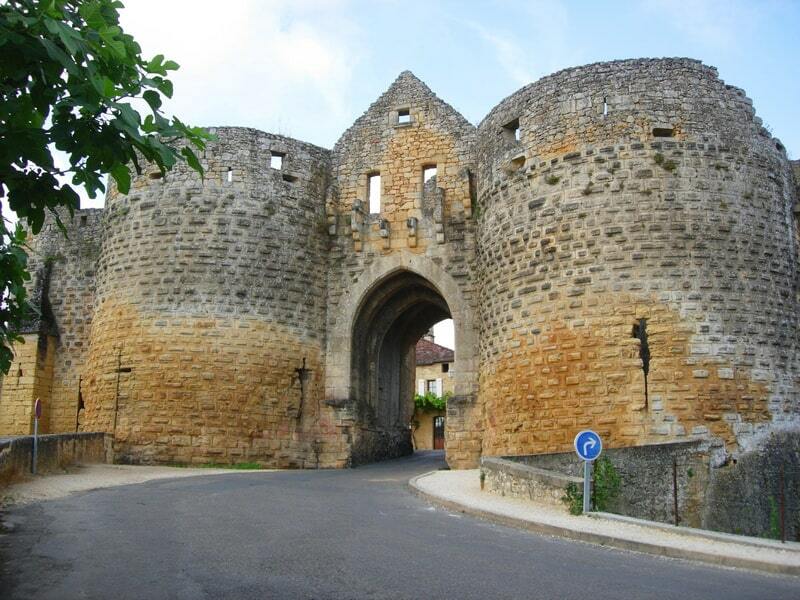 With Experience Perigord vacations, your Dordogne, France holiday will surely be a memorable one! 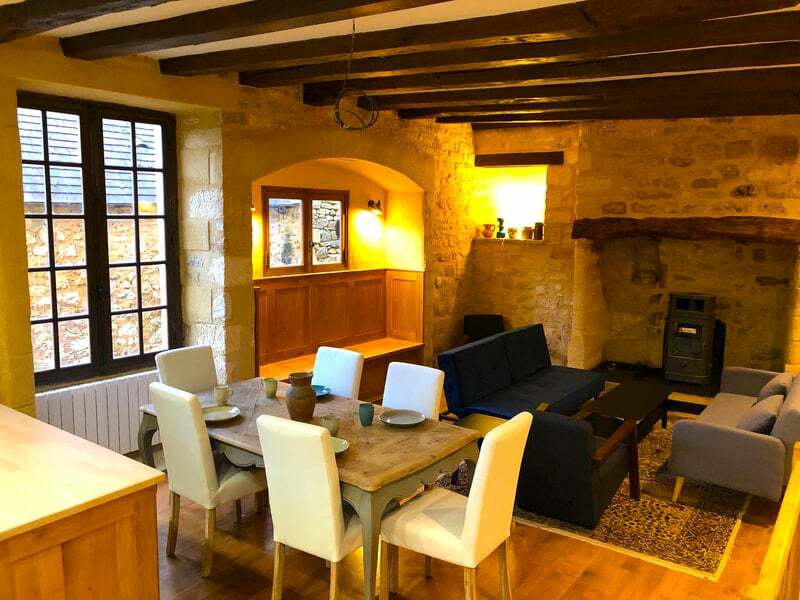 At an historic address inside the walled village of Domme, this unit features a spectacular terrace with enchanting views of ancient ramparts, the Porte del Bos, & the Dordogne Valley. 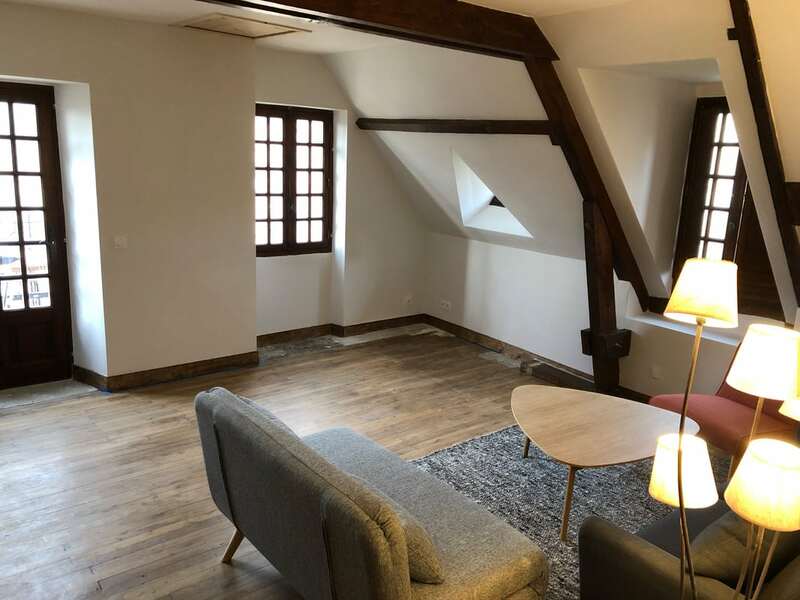 Ground level features a bright study/living area. Upstairs a kitchen, living/dining room, 2 comfortable bedrooms and ensuite travertine-finished bathrooms await. Walk to restaurants & shops. 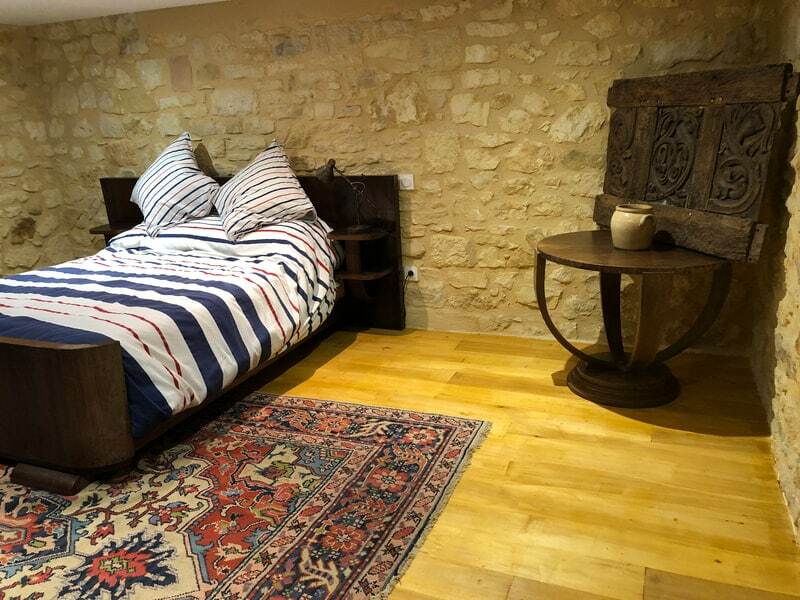 Close to all major sites & activities including the Dordogne River, Beynac castle, La Roque-Gageac, & Marqueysac Gardens. 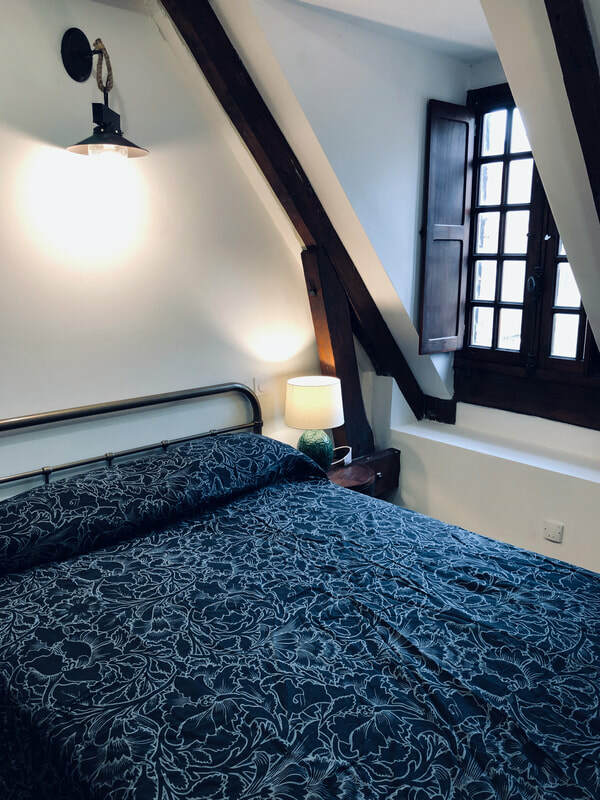 Opening late March, 2019, is a beautiful just-renovated studio apartment with sleeping loft, full bathroom, and full kitchen! 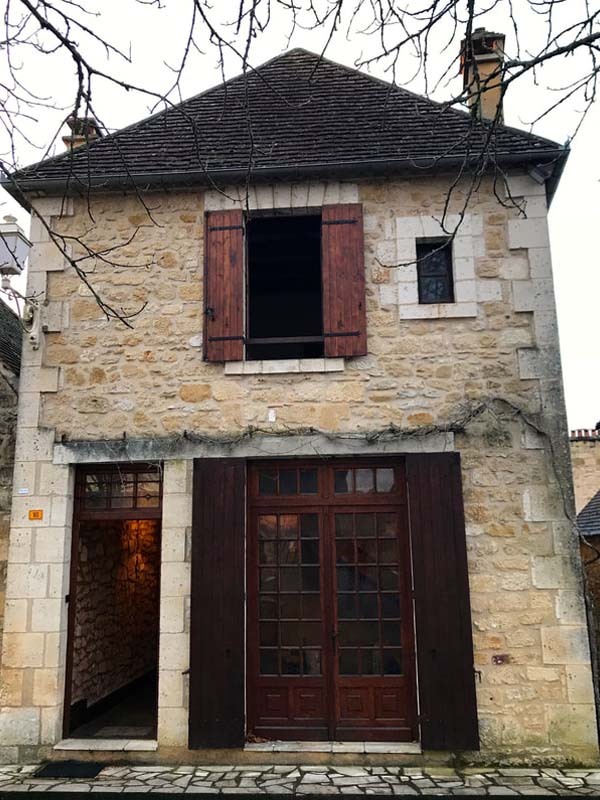 Located in the Domme countryside not far from the Dordogne River, this tastefully decorated unit features amazing 4 metre high ceiliings and handcrafted stone walls. The living area has a double sofa bed, to accommodate up to 4 persons. 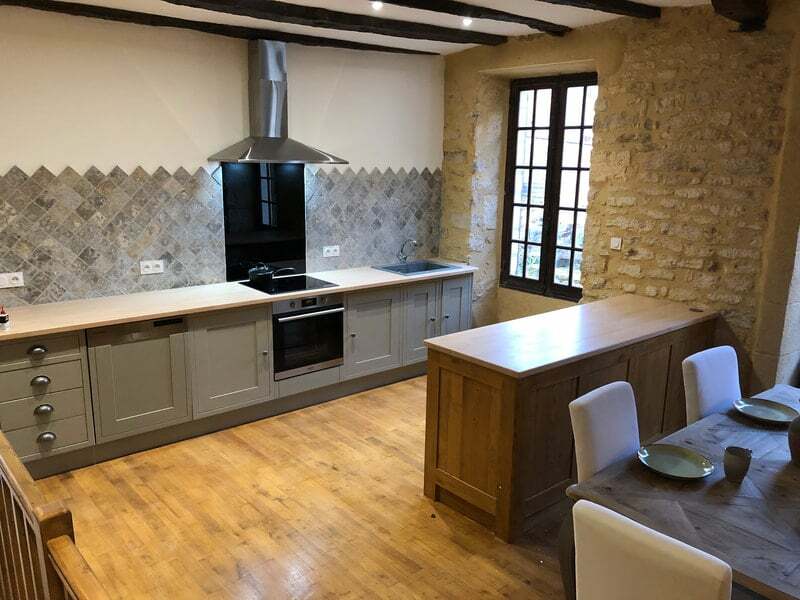 This 2-bedroom gite offers stylish living inside the bastide town of Domme, named number one among France’s 20 most beautiful villages. 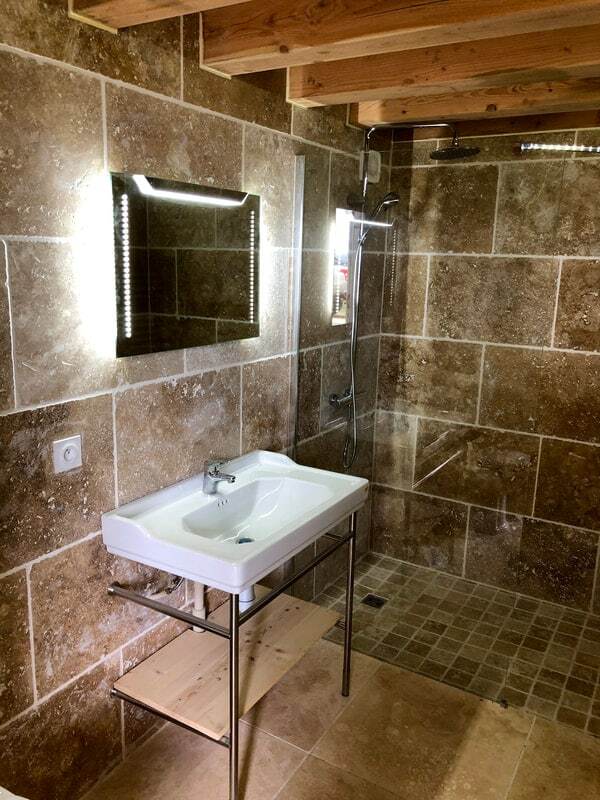 With two and a half bathrooms, and a full kitchen, you also offers enjoy a garden pati with spa tub. 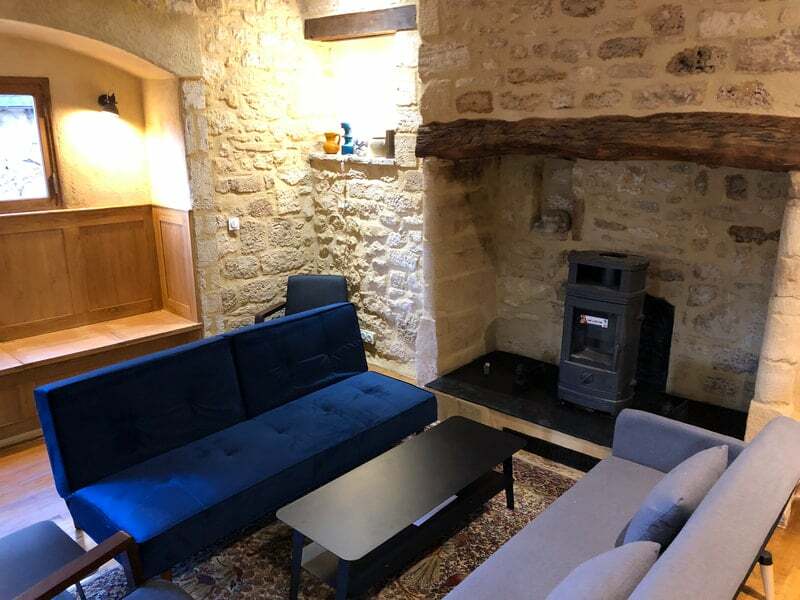 Just renovated in early 2019, there is also a traditional Perigord-style fireplace (cantou). 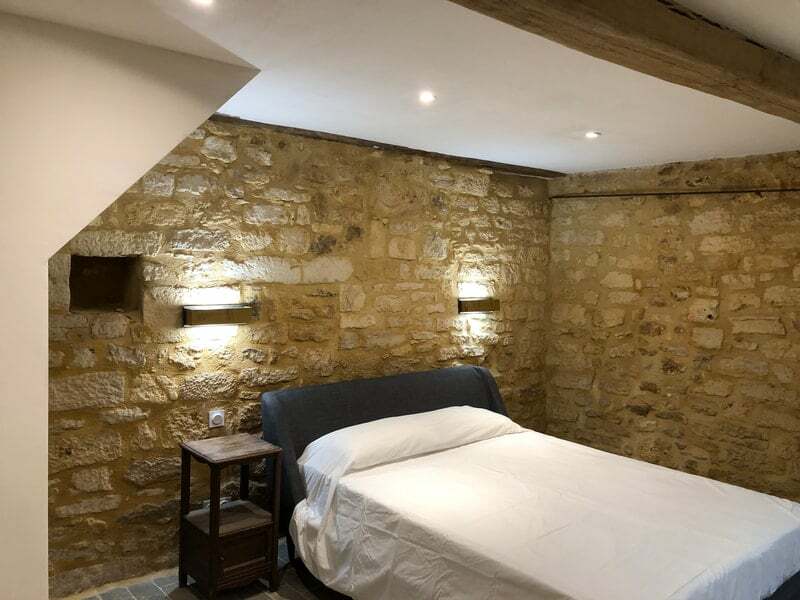 The main bedroom has direct access to the garden and features a 14th century Gothic arch window.